How do we find horse racing odds that are profitable over time? Before any odds analysis of our selections we can follow a few simple rules. Use bookmakers that offer Best Odds Guaranteed (BOG) - most bookmakers either in the high street or online will offer these valuable odds. 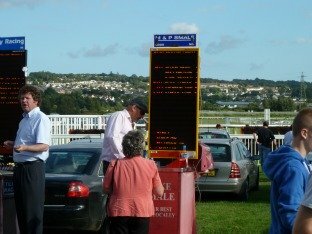 Take early prices either from the bookies or on the exchanges as it is quite common for prices to be at their best early on the day of an event. Although it has to be said this is not always the case. Having decided on your selections what price should you take for profitable betting? This will depend on how you found them but a good method is to learn from your past records. Check back records for that type of race – what price ranges have you been most successful in? Why is that? For each selection assign odds you think they should be. Now add the % profit you wish to make. This will help you decide what value is necessary for you to make a profit on your selections. Start doing this for all your current selections to build up your database of knowledge. Doing this every month will soon give you a much better understanding of how to select bets that are consistently profitable. It will become apparent if and why you are over or under valuing the odds of your selections. If you use systems check to see that the odds you at which you place the bets are the best available. Prices earlier in the day are often better than starting prices. Once you have a better idea of your profitable bets consider incorporating your ideas into a system. This has the advantage of consistently applying those principles to your every day selection process. Building up a knowledge base in this way will gradually improve your success rate and profitablility. I am indebted to Michael Wilding of Race Advisor for some of the advice in this article.